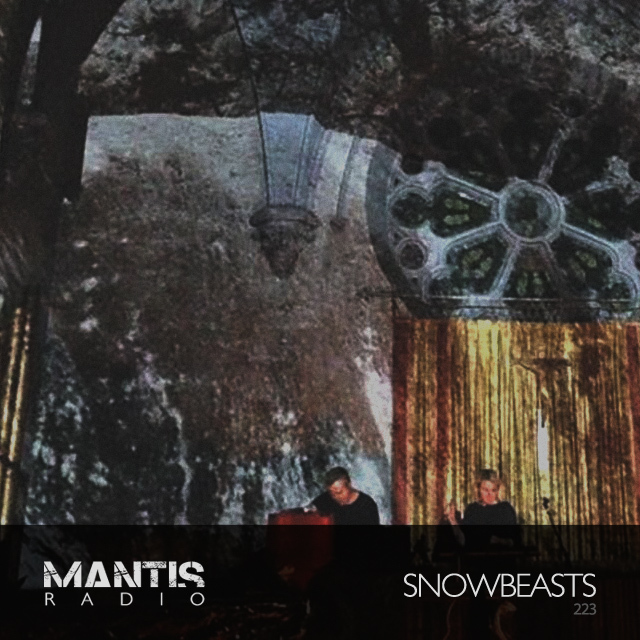 On this week’s Mantis Radio, US artists Snowbeasts. In our first hour – new music by Emptyset, Manni Dee, Blush Response, Cold Spring, Raster-Noton, Ryuji Takeuchi and more. From the frozen wastes of New England Mantis Radio presents Snowbeasts. They are the experimental synth project of Component Recordings label head Raab Codec and Pattern Behavior’s Elizabeth Virosa. Virosa’s vocal work evolves from choral chants into hollowed drones and eerie flow. They present a sound like dire warnings from the future/ Or that of a strange memory from the past. Their music as Snowbeasts is haunting – charting soundscapes vague and unfamiliar while hinting at buried dreams frozen in time. Tonight’s session showcases the pair’s sound, influence and label. Snowbeasts excels at creating enigmatic portraits of unknown regions and forgotten worlds. Anything is fair game and nothing is forbidden. Single instruments are torn from their normal uses, modified and rebuilt into orchestras of sonic depth. Found sounds undergo transformation until their origins are forever obscured, their new forms revealing alien timbres. Their latest work, RMX, on French label m-tronic, sees them revisit, reversion and remix their own, earlier material. Adding a deep shroud of dark techno to proceedings. 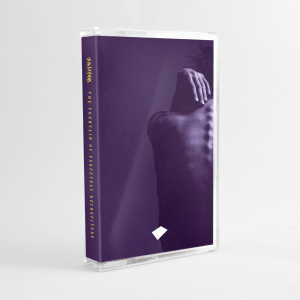 Other releases for the proper introductions to their sound, are last year’s Instincts – a 9 track work of dark ambience, industrial brilliance (and my introduction into their soundworld). That’s available on Codec’s own Component Recordings, a varied and richly interesting netlabel. Those of you stateside can catch them this weekend, February 18th, alongside The Holy Circle, Aridane, Whote and DJ Le Bourreau of Theologian at Park Church Co-op, Brooklyn NY. On Sunday, February 19th, they perform at Providence Modular Meetup Event, in Aurora, Providence RI. In March, they’re at ONCE, Somerville, Boston on Friday 17th. Performing alongside Bestial Mouths and Statiq Bloom. And on Saturday the 18th, they head to Machines with Magnets, Pawtucket RI. Joining them on the lineup are Theologian, Longpig, and Ultra Spasm Aktion.